ORLAND AIR BASE, NORWAY - Two U.S. F-22 stealth fighter jets squared off in simulated dogfights with two of Norway’s expanding fleet of F-35 aircraft on Wednesday as part of an exercise aimed at strengthening the NATO alliance and increasing its deterrent power. 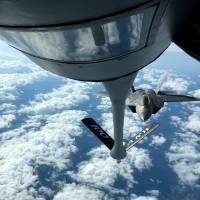 The Norwegian deployment lasted just one day but will lay the groundwork for NATO allies as they work to integrate their stealth warfare capabilities, Col. Leslie Hauck, chief of the fift- generation integration division at the U.S. Air Force’s headquarters in Europe, told reporters in Norway. Next month, a group of senior officials from the United States and seven other F-35 operator countries — Norway, Denmark, Italy, Turkey, Israel, Britain and the Netherlands — will meet to compare notes on the new warplane, which was first used in combat by Israel in May. 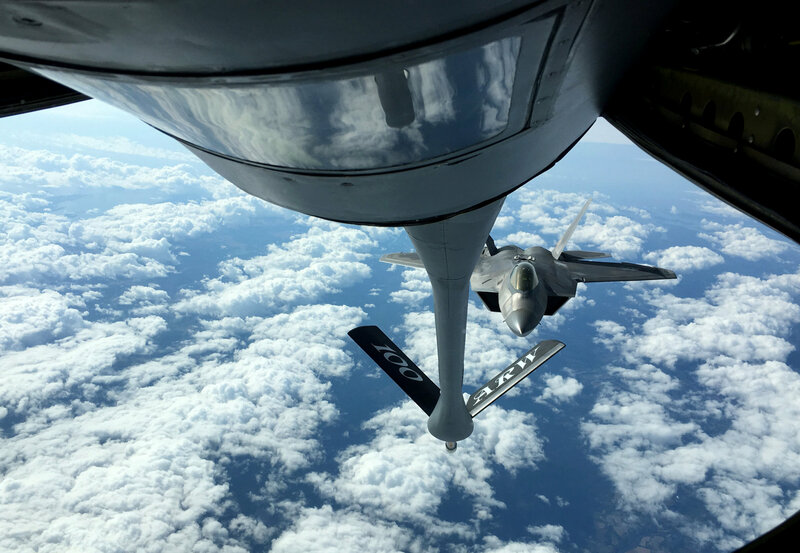 Norwegian Air Force Maj. Morten Hanche, who piloted one of the Norwegian F-35s, said the mock fight with the F-22s was great practice, especially since the F-35s generally surprise and overpower other nonstealthy aircraft.